1) The phone sold out nearly everywhere, right away. Personally, I went to 3 stores and called 2 more to try to find one on launch day, without luck. I managed to order one from Sprint, but within 2 days of launch they were reporting being sold out online as well. In other words, the sales numbers were limited by supply, not demand. 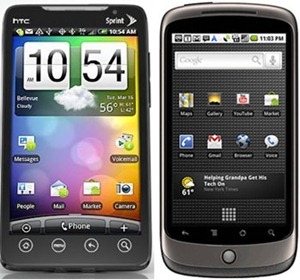 2) The Nexus One has 2.00%, but was released January 5. The Evo was launched June 4. 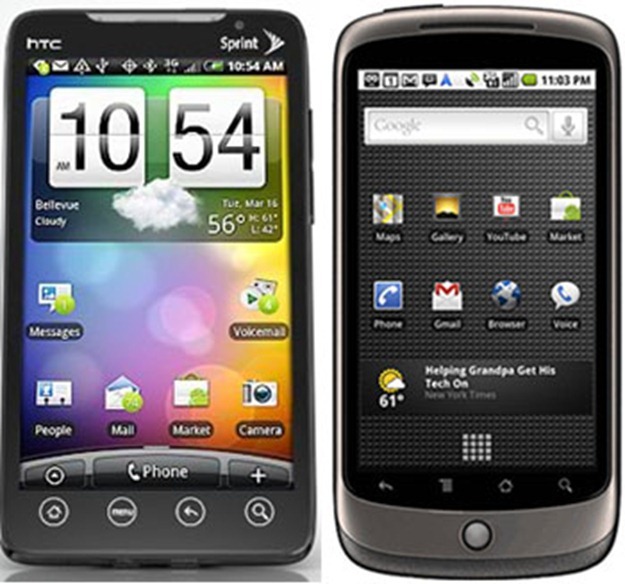 The Nexus One was available for 160 days as of Monday; the EVO had been on sale for 10. See the difference? 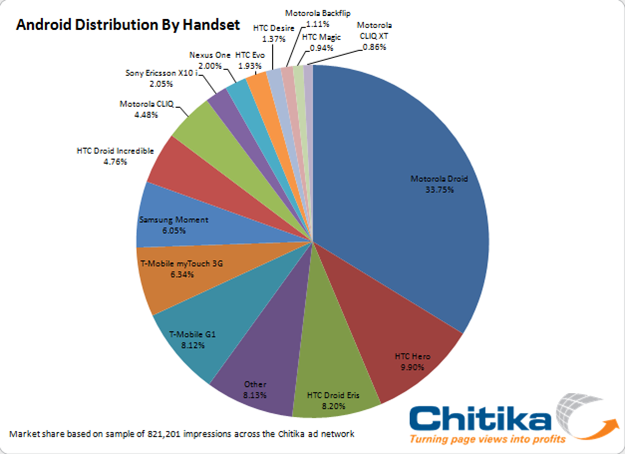 The Moto Droid, on the other hand, has 33.75% of the market. The report doesn’t explain why the numbers are what they are, but I can guess. The Droid had a hugely aggressive marketing campaign, was released on America’s largest (in terms of subscribers) carrier, and was the first Android handset to be really targeted towards average users (rather than nerds). The Nexus One has its own reasons for slow sales. A few weeks ago, Google announced it would discontinue sales of the N1 through their own store because it just wasn’t working. I don’t have super-recent sales numbers here, but not long ago they were at roughly 135,000. If I had to make an (admittedly unqualified) guess, I’d say it could probably be somewhere around 160,000 today – which happens to be only 10,000 more than the number of EVO’s sold on launch day, according to Analysts… and again, that number was limited by available supply.